A company approached me a couple of weeks ago to introduce a new cookbook by thermomix. However, since they don’t have this book available for me to review, I cannot say much about it. I came across the Thermomix machine at the Good Food & Wine show last year and the idea of the machine is brilliant and made things so convenient for consumers. However, unfortunately, I don’t have this machine neither, so I can’t say a definite. Hence, I am attaching some parts of the press release here as I truly think preparing food for baby and toddlers is far more complicated, and the nutritions for the little ones has to be balanced. Disclaimer: This post is not an advertisement for Thermomix. It is only an introduction. Please think wisely before choosing the book and the product. Adelaidefoodies.com takes no resposibility for any problems caused due to any misuse of the product or misunderstanding of the press release. Thermomix is launching a baby and toddler cookbook for parents in partnership with passionate food writer and cookbook author Louise Fulton Keats. ‘Thermomix Cooking for Your Baby and Toddler’ covers everything parents need to know about introducing their babies to solids and ensuring the development of healthy eating habits into the toddler years. Filled with quick and easy Thermomix recipes, from simple purees to family meals, this book will assist children in developing a taste for new flavours while providing the essential nutrients critically needed in the early years. 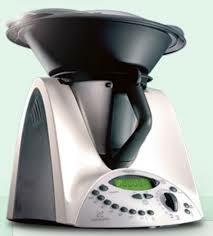 “A Thermomix is the perfect companion for every parent. Forget packet foods. With a Thermomix, preparing healthy, nutritious baby and toddler food, as well as meals for the rest of the family, couldn’t be simpler,” said Louise Fulton Keats. Invaluable meal planners are included for a baby’s first years as well as information on nutritional needs, potential feeding problems and solutions, and recommendations on how to understand taste preferences and avoid fussy eating. Coming from one of Australia’s foremost food families – her grandmother is Australia’s best-loved cookery expert, Margaret Fulton, and her mother is eminent food writer, Suzanne Gibbs – Louise’s family life has always centred on cooking and eating well. Louise is now continuing in the family tradition and bringing her food heritage to a new generation. Through her work, Louise hopes to encourage a love of cooking and good food in children of all ages and to open their eyes to just how wondrous and joyous the world of food can be. To find out more visit http://www.louisefultonkeats.com. Thermomix Cooking for Your Baby and Toddler is priced at $35 and will be available from http://www.thermomix.com.au or by speaking with a Thermomix consultant. Oh really?! I’d love to have one. Cheers. Please send me an email to Adelaidefoodies@gmail.com and I’ll return the email asap. Thanks a lot again Caterina!